XAMPP is an integrated server package that contains many different tools such as mail, Web, FTP and WebDAV. Various open software packages are combined to power the various services including Apache, MySQL, FileZilla, PHP, JSP Java, OpenSSL and more. Tomcat and Perl can be added using add-ons available from the website. XAMPP-Lite is also available. It takes up less disk space, but removes mail, FTP and other tools. Note: XAMPP has many capabilities, including a portable MediaWiki or Wordpress installation. How to extract: Download the "portable" 7z package and extract to a folder of your choice. Launch xampp-control.exe to run the control panel or start the different servers with the corresponding start/stop batch files. freakazoid: is there an advantage to using the portable version? I couldn't find anything on the site explaining it and the default program is natively portable. webfork: Because it's their preferred portable build. Not everyone will need the full package. The lite / portable build should be sufficient for people building a website for testing locally and on the go. Just for clarification, is the full version portable? Because the only version labelled "portable" at the download link appears to be the lite version, without FTP or Mail. Bitvise SSH Client (formerly Tunnelier) is a fast, secure FTP and terminal client with a variety of "tunnel" options to create secure connections, similar to a VPN. 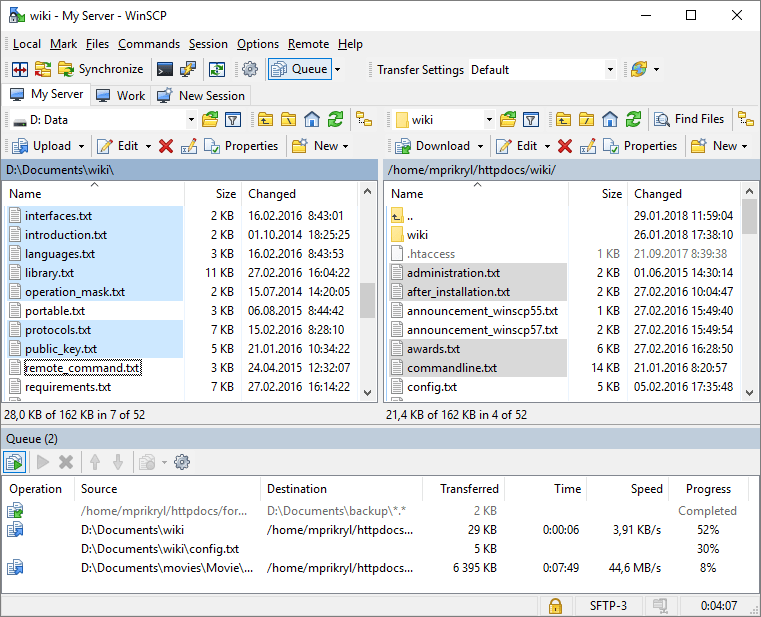 The program can forward Windows file shares over SSH, an FTP-to-SFTP protocol bridge, port forwarding and more. See forum discussion for adding secure FTP to existing portable software. Includes support for single-click remote desktop forwarding for graphical server access, vt100, strong auto-reconnect and a scriptable console-mode SFTP client. Integrated SOCKS and HTTP proxy are available for dynamic forwarding. Security measures include wide encryption protocol support including public key exchange and optional integrated compression. Supports profiles and optional encryption of local passwords. Stealth: ? Yes. See note below. Note: The uninstall process creates entries in HKLM\SOFTWARE\Bitvise and HKCU\Software\Bitvise but these can be deleted manually. 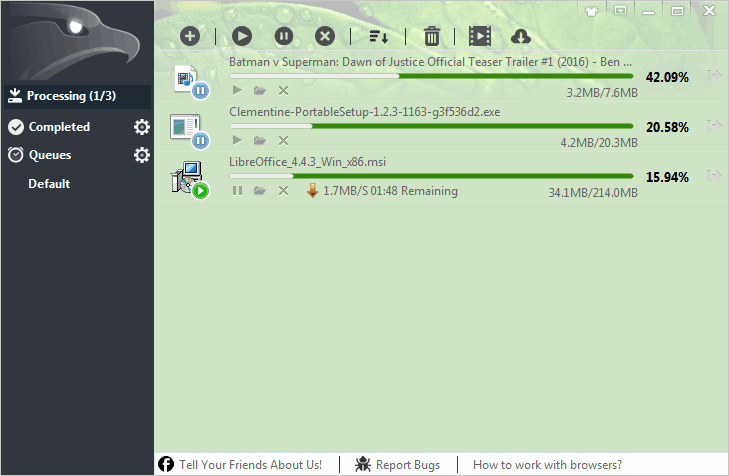 For a freeware portable server alternative, check out Stunnel (http://www.portablefreeware.com/forums/viewtopic.php?t=21551). For a freeware non-portable server, see SilverSHielD (http://www.portablefreeware.com/forums/viewtopic.php?t=21461). The site dedicated to the portable version (see my comment above) is dead. Entry links corrected. PicPick is a versatile all-in-one tool for images on the desktop. 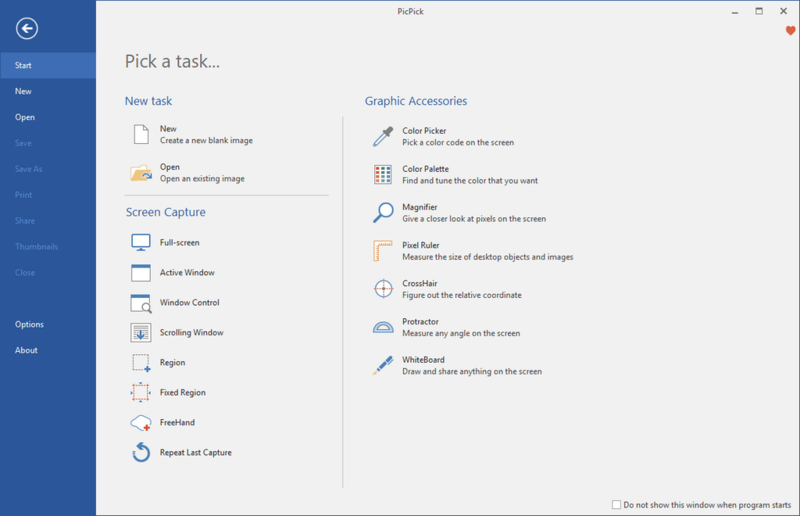 Includes a powerful screen capture tool, editor, color picker and palette, pixel ruler, protractor, crosshair, whiteboard and more. Can upload images automatically to FTP, Facebook, Twitter, default e-mail program, or send to installed Microsoft Office programs (Word, Excel, or PowerPoint). Alternatively, PicPick Portable is stealth and automatically adjusts paths. Stealth: ? No. Leaves picpick in APPDATA, Cloud Explorer in LOCALAPPDATA, and picpick in ALLUSERSAPPDATA. License: Free for personal use. Note that without a blank picpick.ini file, the program will offer optional installation of the Bing toolbar. How to extract: Download the "Portable" ZIP package and extract to a folder of your choice. Create a blank file called picpick.ini in the same folder. Launch picpick.exe. The GUI is ruined in version 5.0.0, last usable version- 4.2.8.